84% of automobile buyers are on Facebook (V12 Data). 75% of car buyers said internet research, including social media and review sites, was the most helpful medium when selecting a car dealership (Digital Air Strike). 98% of all car purchases begin online (Capgemini). While its use should only be one piece of a comprehensive marketing strategy, its significance continues to impact how businesses engage consumers. This is no different for credit unions that want to increase their auto loan portfolio. The focus should be on social media. No longer just a niche tactic, most credit unions now deploy sophisticated campaigns to reach members. 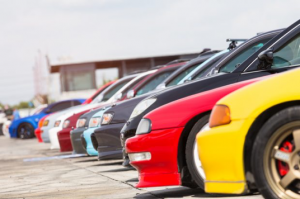 Applying this strategy to auto loan growth is a powerful tool to both educate and engage the member. The growth in social media use is in line with changing demographics that meet the needs of tech-borne members. Surveys have found that 70% of professional marketers increased their spending on social marketing activities, revealing it was their No. 1 marketing tactic, DBS Interactive said. This is especially important when reaching millennial members, who are considered the biggest users of social media with 88% regularly engaging in any form, according to the Pew Research Center, and over 45% with a specific brand, Total Retail reported. They expect to have a brand relationship with mutual communication. Credit unions need to recognize the growing importance of social media and its power to connect with members. One of the ways social media helps credit unions enhance their auto loan portfolios is through engagement. While many credit unions view member engagement as face-to-face interaction at the branch, it’s time to meet your members where they live online. There are ways to reach members online that are both catchy and informative. Combining both creates a winning combination while influencing awareness for all credit union products. First, find out what works and what is a waste of time and money. Look into the demographics of the social media channels, and set goals and metrics for your marketing strategy. Research the channels that correlate the most with your goals, and more importantly, your audience. Of all the social media channels, Facebook may be the best place to start – 1.47 billion people use Facebook daily, and 2.23 billon do so monthly, according to the Facebook Newsroom. More likely than not, your members are using Facebook to interact with their favorite brands. Count your credit union among those brands by delivering relevant content. YouTube is an additional powerhouse for getting your message across to members. Approximately 90% of online purchasers said product videos help them make a purchasing decision. The average online video is completely watched end to end by a surprisingly high 37% of these viewers. Snapchat is one of the fastest growing social media platforms, with 191 million active daily users, Snap Inc. reported. 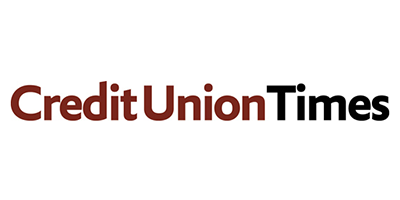 This burgeoning social media might seem ripe for engagement for your credit union. However, 60% of users are under 25 years of age, according to Statistica. If this age demographic is not among your key markets for your financial products and services, it might behoove you to look elsewhere for social media engagement. Another important point is that 80% of social media time is spent on a mobile device. Ensure that your posts and ad copy are simple enough to be enticing on a small screen. It’s also important that you engage with your members online by providing them a means for easy contact and dialogue. With your plan in place, it is essential that you track your efforts with the metrics that you established, which will help you determine which strategies are working and which aren’t.